There’s a lot going on in this sandwich. 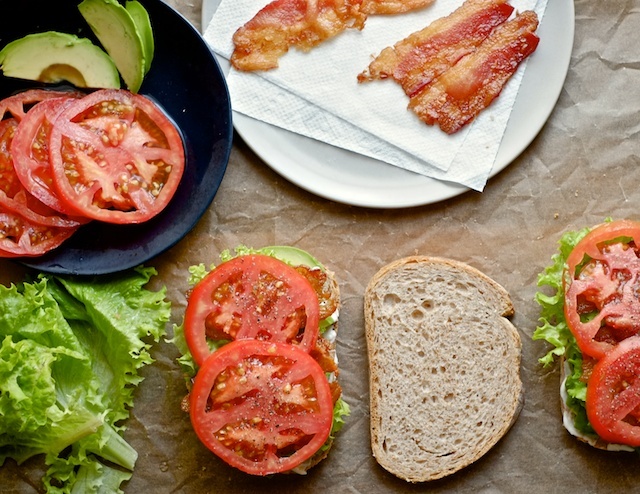 I know a BLT is one of those classics that people have opinions about. 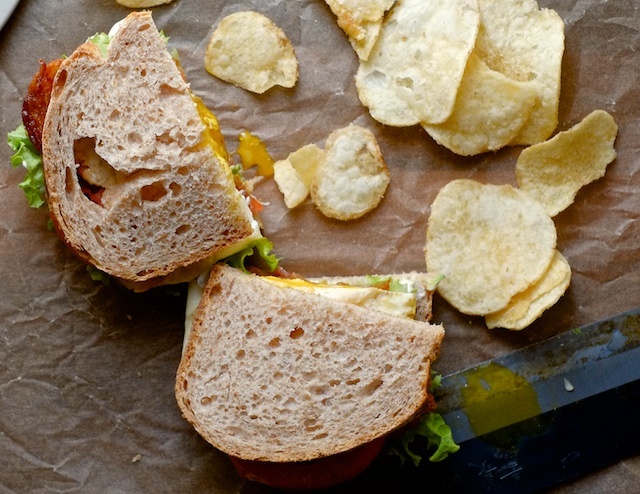 It’s the kind of sandwich that some say shouldn’t be trifled with. But I can’t help myself sometimes. And so to you I submit: an excessively delicious, maybe sacrilegious, not so apologetic version of the BLT. 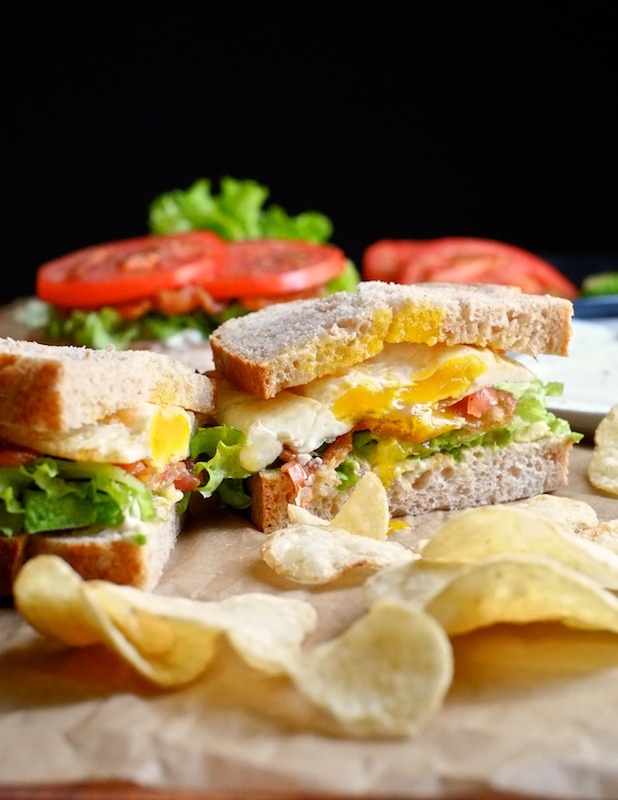 I call it the BLT…A…E. A and E being buttery avocado and runny-yolked fried egg, respectively. Too much of a good thing? More like another thing entirely. 1. Cook your bacon as you like (though might I suggest roasting it in the oven as discussed yesterday?) and allow it to cool slightly. 2. 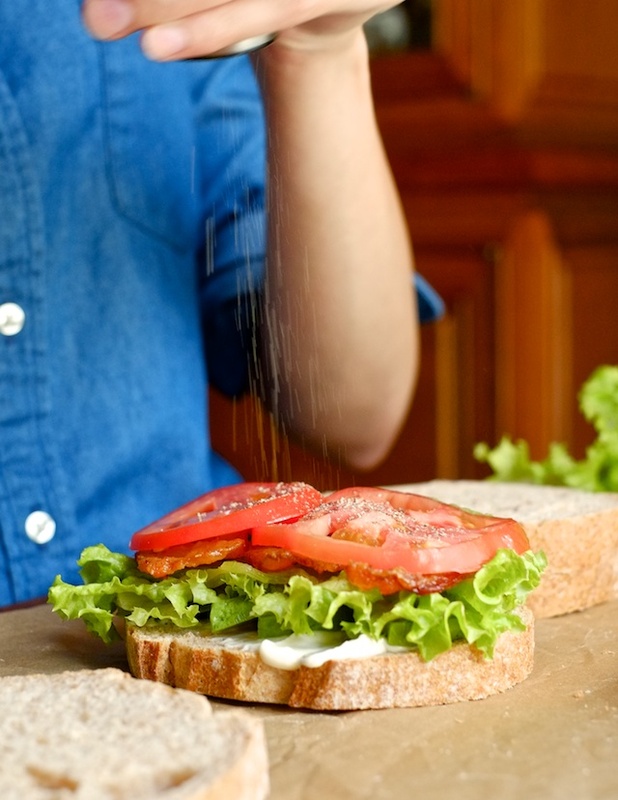 Slice your sandwich bread, tomato, and avocado, and tear lettuce into sandwich sized pieces. 3. 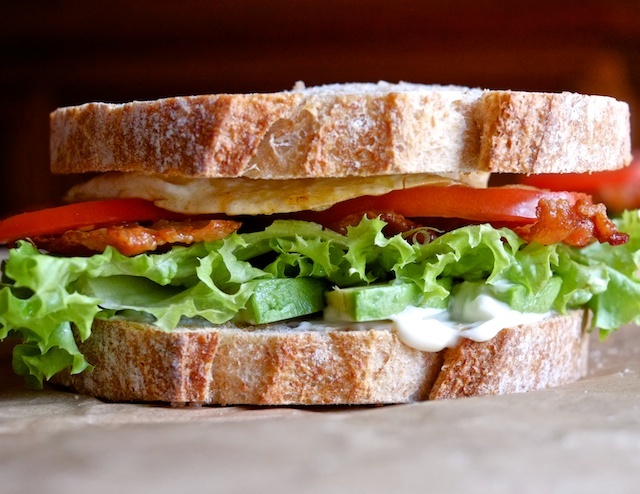 Assemble your sandwiches thusly: one piece of bread, mayo, sliced avocado, lettuce, bacon, tomato, salt and pepper. 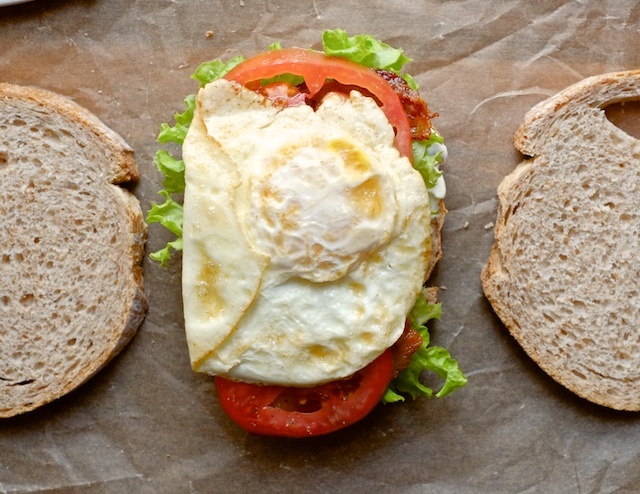 Leave the sandwiches open faced until you finish making the eggs. 4. 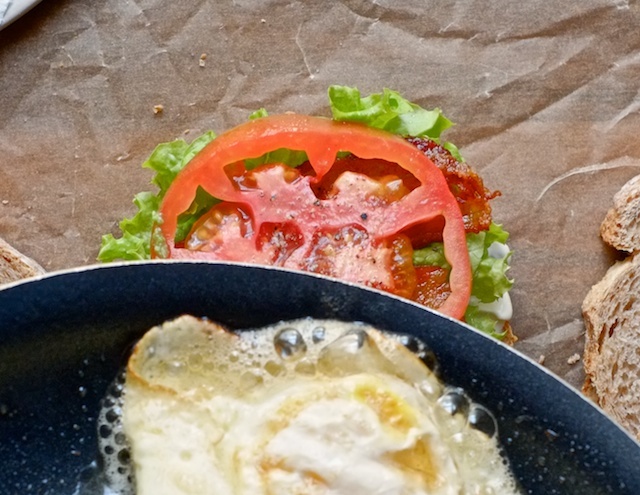 Fry your eggs sunny-side up or over easy and put one on top of each sandwich. Top with bread, cut in half (the yolk will get split and sort of act as a second sauce for the sandwich) and serve. Probably with chips. This looks amazing. Avocado and a good runny egg are just meant to be together. Yum! You are so right Ashlee!